Spring is just around the corner……or I'll telling myself that! 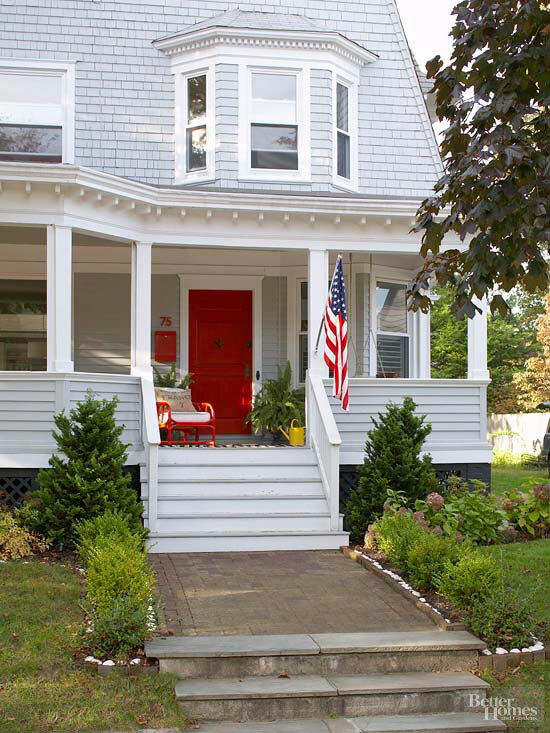 One of the quickest things that you can do to give your exterior a quick, fresh update is to paint the front door. Either give it a fresh coat in the existing color or try something different. It's only paint after all. 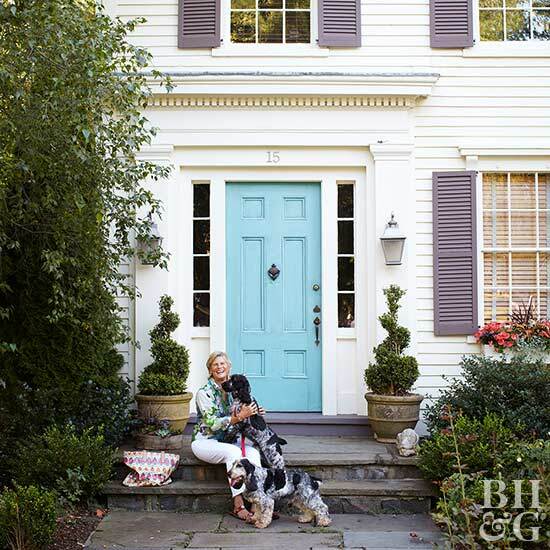 Front Door Color Inspiration to freshen up your home! Classic black is always a favorite of mine. 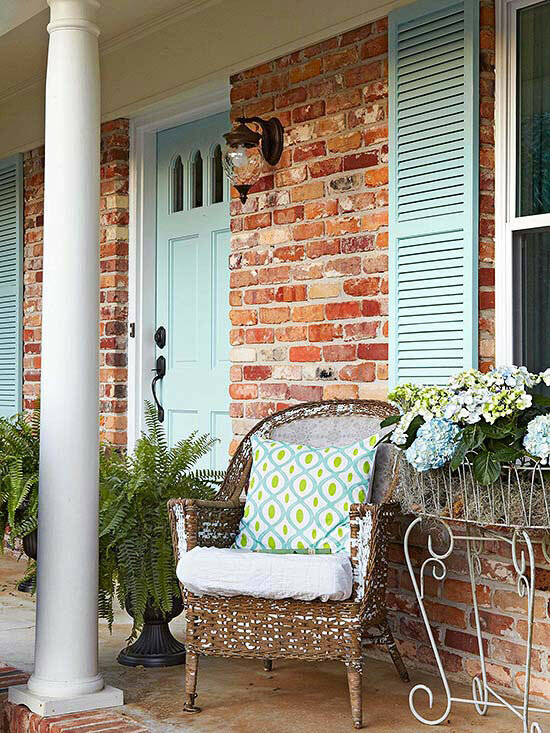 Your porch accessories, flowers and greens just sing against it. It allows you to really use many different colors for accessories. Really smitten with how the street number is spelled out in words! Another black door to drool over…. Another classic way to dress your door is with stain. There are many online tutorials that will show the proper techniques to use when restaining a door. 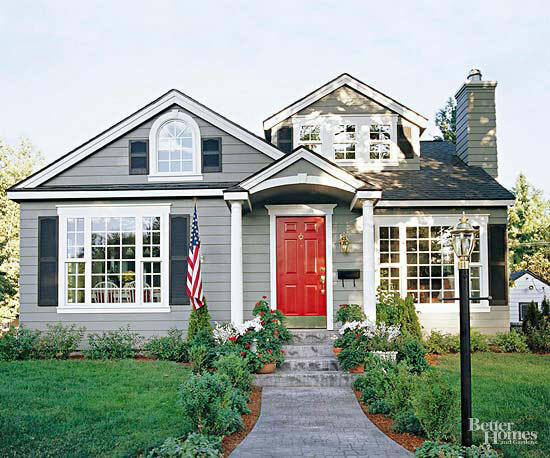 With the grey siding, the stained front door creates a welcoming entrance. How about going bold with classic red. 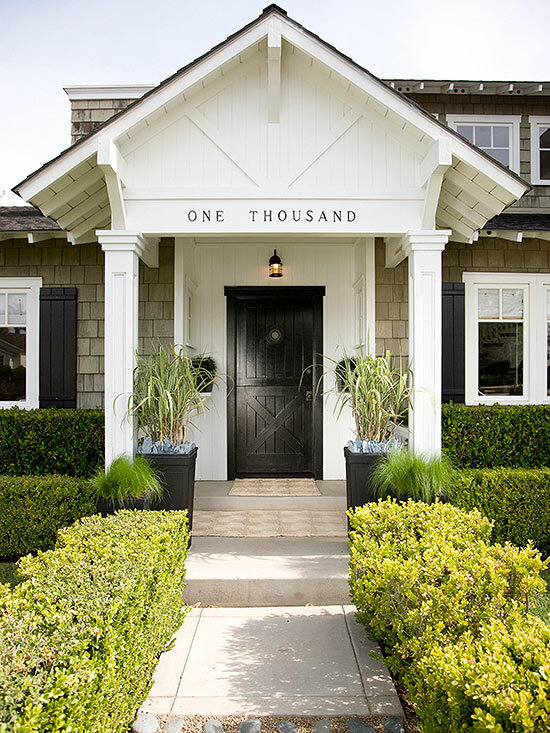 Paired with black shutters it creates a statement. The red accents were carried beyond the front door. 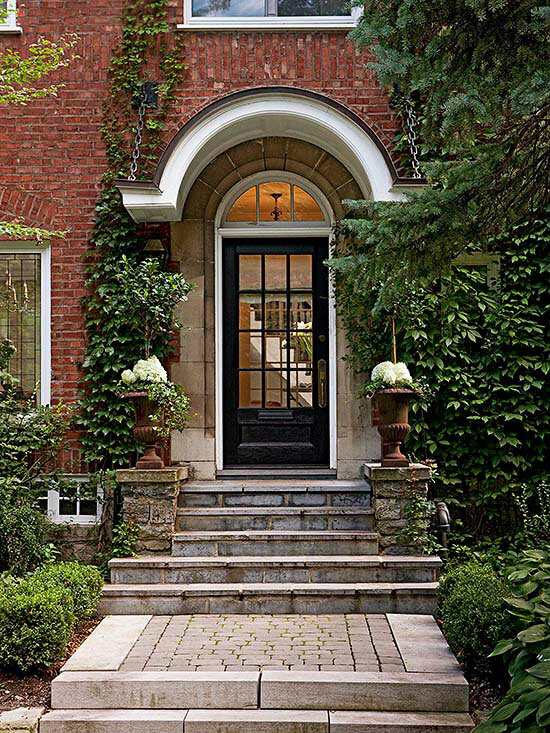 A very popular front door is in the aqua family. It's fun and fresh! This aqua color is great for more formal to casual applications. It is so fresh and inviting. If you follow my blog, you'll know that it's no secret that green is my favorite color….especially the sage family. The darker green really makes this white farmhouse come to life! 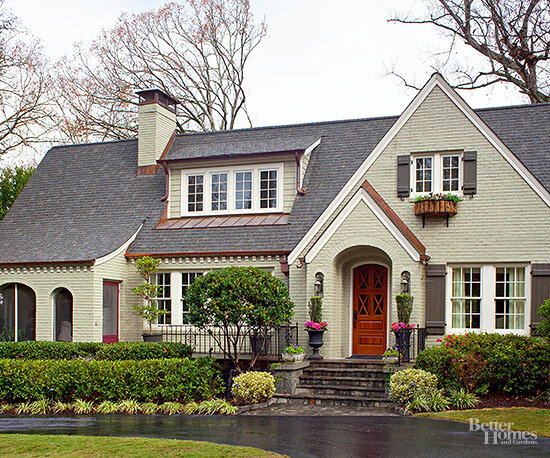 Whether you are just freshening up your home or getting your home ready to sell…..curb appeal is a must. First impressions are important when selling your home. 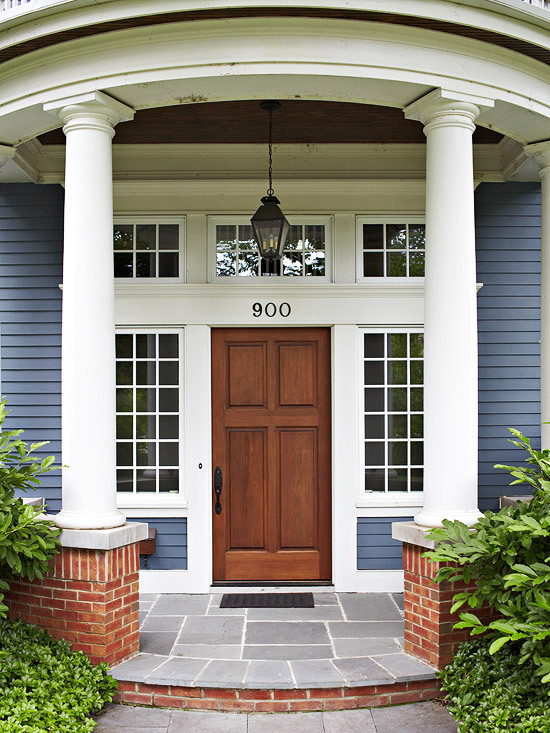 If your main entrance is clean and freshly painted, you are setting the tone for what's to come. Green, Red and Blue looks so awesome. But for me, nothing beats that natural wood color :). Thanks for the color inspirations though. I love my stained door!